A fantastic steam weekend on the West Somerset Railway - with chartered steam train, beer festival, big strum and singalongs and concert performances! 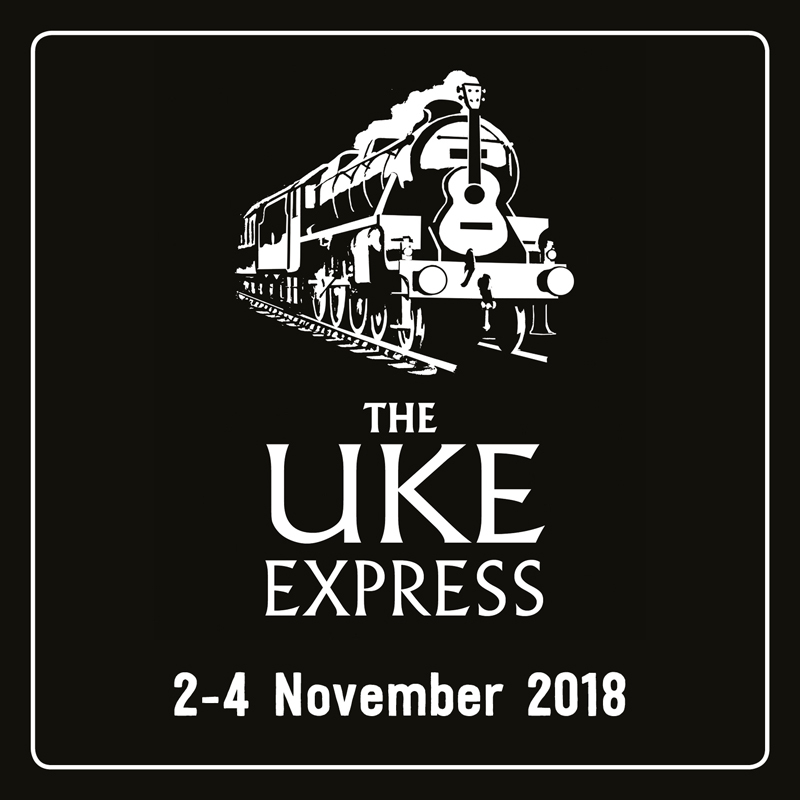 An excellent ukulele break for 3 nights, with full board accommodation and entertainment provided, centering around the world famous Ukulele Orchestra of Great Britain! Yes, George Hinchliffe's fabulous ensemble will be performing in the ballroom of our host hotel, and staying over so you can meet these amazing ukulele stars. There's a full programme of ukulele playing, teaching and concerts to enjoy - together with fantastic food and a big hotel, exclusively booked in its entirety for our party! Join us for a fantastic, luxury day out in London, cruising the Thames aboard the privately chartered craft, The Elizabethan. With beautiful food, great entertainment and sightseeing built in, this will be a truly capital day out. An excellent ukulele break for 3 nights, with full board accommodation and entertainment provided, including the world famous Ukulele Orchestra of Great Britain! For the fourth year in a row, the fantastic, fun-filled steam adventure that is The Uke Express is on the rails again! This year, a change of venue to keep things fresh, and we've chartered a private train on the West Somerset Railway. Live entertainment from The League of Ukulele Gentlemen, Chonkinfeckle and Zoë Bestel.